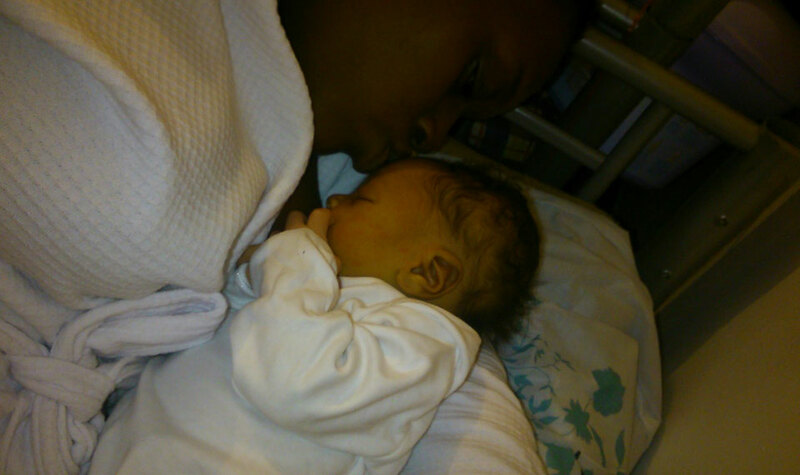 21 year old Stephanie, mum of two, talks about the tragedy that inspired her to become a Young Parent Ambassador. It was my little cousin’s fourth birthday. I’d spent the day with my family, laughing, playing and celebrating, just like any other family get-together. The same day, I started to get contractions. I was so excited! I thought: ‘Oh my God! My little boy is going to be here anytime now! How amazing!’ At 10.42pm the next day, I welcomed little Joshua into the world! My little boy’s father and I weren’t on good terms at this point, so when I went to the delivery room, he wasn’t present. I called him once I’d given birth to tell him the news. At first he was really excited but I could tell down the phone that he was uneasy, something was distracting him. ‘I need to tell you something,’ he said just before we ended the phone call. He came to the hospital, ready to meet our son, but I could see that something wasn’t right. He just stood there, completely still. Slowly, he told me the news: our niece had passed away. At that moment, my world came crashing down. I didn’t believe him at first, I just kept shaking and saying ‘You’re lying! Why would you say such a sick joke?’. He reassured me that everything was going to be okay. My heart just bled for her. I picked up my phone and went through my photos before I found the last image I had of her, taken just two weeks before, and I burst into tears. It was heartbreaking. On the day I was meant to be celebrating a new life entering the world, I found myself mourning for the loss of this gorgeous little girl. She was only three months old. She was supposed to be Joshua’s little partner in crime, his best friend. I was so looking forward to seeing them grow up together, but now she was gone. Or ‘cot death’ as some people call it. I had heard of SIDS before, but I had never really been told about it in depth. Losing my niece is what inspired me to become a young parent ambassador. I want to make sure that all young parents are aware of the risks of SIDS and the simple things mums and dads can do to reduce the risk of it occurring. I want to make sure no other families experience the heartbreak my family has. Interested in becoming a Young Parent Ambassador? Find out more here.